Over 400,000 American women suffer from stroke every year. Some people may be surprised to hear that this number is about 55,000 more than men. Medical advances over the last several decades have decreased the cases of stroke. However, it’s still the fourth-leading cause of death for Americans, and 60 percent of strokes occur in women. For the first time, specific stroke prevention guidelines for women have been established, thanks to the American Heart Association, the American Stroke Association, with the help of an expert from the University of Alabama at Birmingham. Men and women are different physiologically, so prevention tips need to be designed with women in mind, beginning in the child-bearing years. So how do men and women really differ in stroke risk? Scientists say pregnancy, childbirth, and hormones all play a major role. Stroke-related problems are rare during pregnancy, but experts say this is when the first signs of vascular disease can appear. Studies show that women who have eclampsia and preeclampsia – conditions marked by high blood pressure during pregnancy – are twice as likely to have a stroke later in life. When a blood vessel that carries oxygen and nutrients to the brain is either blocked by a clot or bursts, oxygen can’t reach the brain, causing a stroke. As a result, brain cells die. Stroke survivors can be left with a long list of debilitating aftereffects. Women have a longer lifespan than men, so their lifetime risk is higher. The risk increases later in life because of additional risk factors acquired, such as obesity and high blood pressure. Because of age, women often have more challenging recovery from stroke than men, their quality of life decreases, and they end up in long-term care residences. Women should be screened for high blood pressure before being prescribed birth control pills since oral contraceptives can raise blood pressure. Pre-eclampsia should be recognized as a risk factor even after pregnancy. Women with high blood pressure before pregnancy should be considered for low-dose aspirin and/or calcium supplements to lower their pre-eclampsia risk. 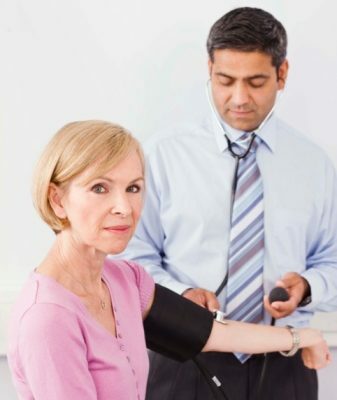 Women with moderately high blood pressure should be considered for blood pressure medication. Expectant mothers with very high blood pressure should be treated with medication. Women over 75 should be screened for the risk of atrial fibrillation. With emphasis on early prevention, women can build on the strategies to prevent stroke and live healthy and strong in their golden years!